May 31, 2018, Nashville, TN The film and media production company, A Window In A Tunnel, announced today the release date of the acclaimed documentary “MADE IN JAPAN” – A FILM BY JOSH BISHOP starting on June 12 on-demand. 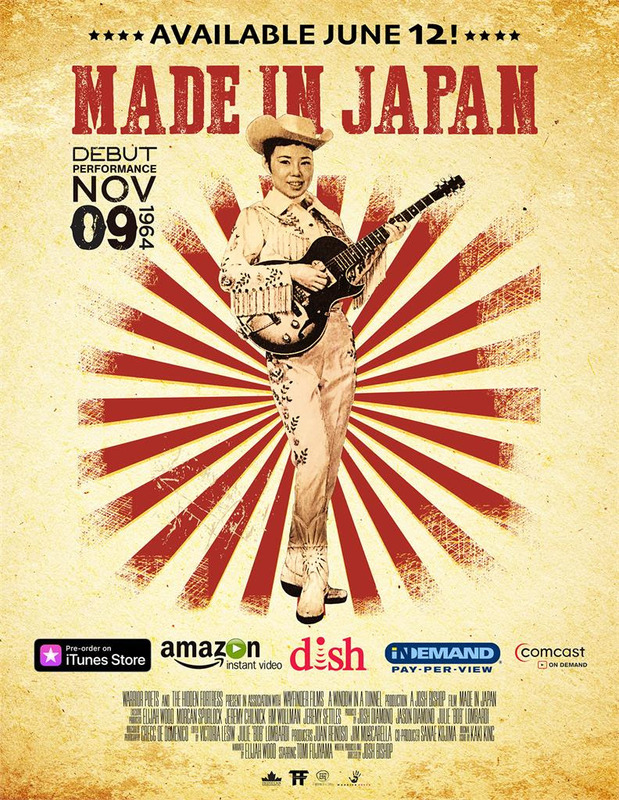 The film is a funny, yet poignant multicultural journey through music, marriage, and the impact of the corporate world on the dreams of one woman – Tomi Fujiyama, Japan’s First Lady of Country Music. It will be available to rent and purchase on iTunes, AmazonHD, Dish Network, InDemand and Comcast. 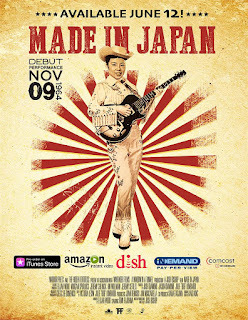 “MADE IN JAPAN” is the remarkable story of Tomi Fujiyama, the world’s ﬁrst female Japanese country music star. From playing the USO circuit throughout Asia, to headlining in Las Vegas and recording 7 albums for Columbia records, Tomi’s career culminates in a 1964 performance at The Grand Ole Opry where she followed Johnny Cash and received the only standing ovation of the night. Over 40 years later Tomi and her husband set out on a journey through Japan and across the United States to fulﬁll a dream of performing at The Grand Ole Opry one more time. TOMI FUJIYAMA is Japan’s first lady of Country music. In 1951 ”Tomoko Yamaji” changed from performing traditional Japanese Enka songs for local Japanese audiences, to Country Music for American soldiers on military bases across Japan. It was at one of these military bases that she became “Tomi” after the mispronunciation of her name by a soldier in the audience. Playing the military circuit for American soldiers, recording 21 singles and 5 albums for “Columbia Records” and going to Las Vegas to play a back breaking 7 day a week, 4 show a night contract at “The Mint Hotel” are just some of the things that she would do before the magical night of November 9th 1964 when she sang at the 39th Birthday of America’s number one Country Music institution “The Grand Ole Opry,” in Nashville Tennessee. She played right after Johnny Cash and got the only standing ovation of the 5-hour show. This is something every Country musician wants to achieve and was an event that would shape her life and stay with her forever. Tomi returned home and continued to play the military bases around Japan and was eventually sent on a USO tour of Vietnam and Southeast Asia during the height of the Vietnam War in 1967. After a hiatus in the 1980’s, “Columbia Records” put out a “Best Of” album in 1994 and in 1996 she recorded “Lonely Together” in Nashville, with Bill Anderson, her first new work in 30 years. She returned to Nashville again in 2002 to record “Gold”. Today, Tomi is still performing in clubs and venues all over Japan and her passion for music and lust for life continues to move and inspire people everywhere. In 2015, almost 50 years after her original performance, she graced the Opry stage once again.